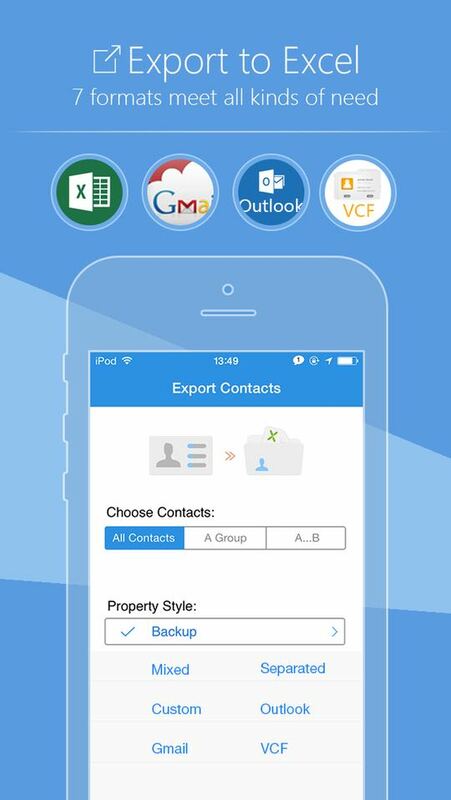 You can transfer files from/to ExcelContacts via USB (iTunes), Wi-Fi, Email, Dropbox, Google Drive, One drive or other apps. Insert photos in Excel direclty or package photos and Excel file into a ZIP file. Here's some sample files, you can choose one of them as a template. Where is File Sharing located in iTunes? Connect your iPhone, iPad, or iPod touch to a PC or Mac with iTunes installed via a USB cable. Launch the iTunes application, unlock your iOS device, and click its icon on the toolbar in iTunes. Select the "Apps" category in the sidebar and scroll down in the right pane. After the list of home screens, you’ll eventually come to the “File Sharing” section. Why can the excel file not be imported? First please make sure the file is .xls file, not .xlsx file. Next please make sure the column headers can be recognized by the app. 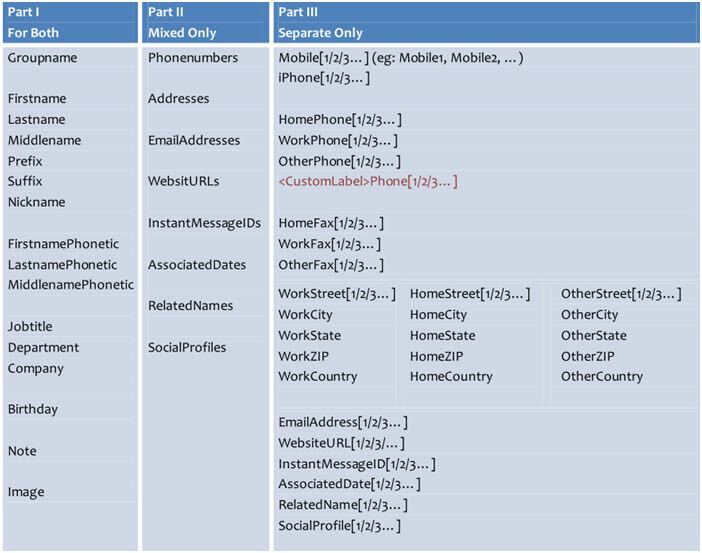 Here are all valid column headers. If you still cannot figure out what is going wrong, please contact us directly. How can I transfer the file from my computer to my phone? There’s lots of way to transfer the file from your computer to your phone. One way is via Email. 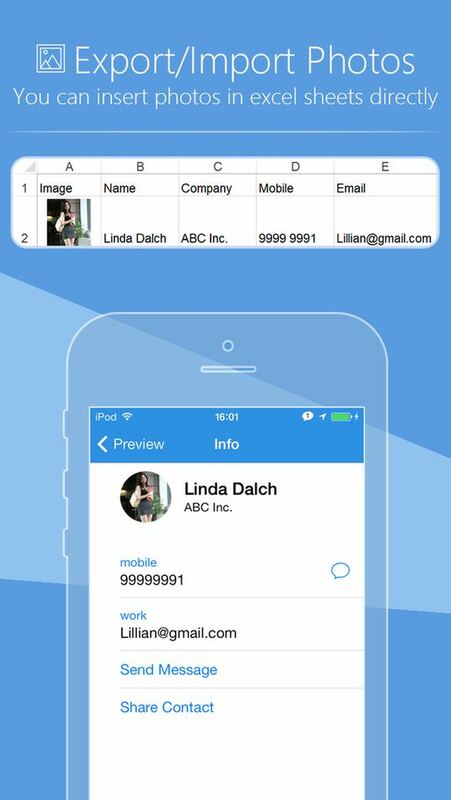 Send an email with your file attached, then on your phone open the email, tap the attachment and choose SA Contacts to open in. Another easy way is via WiFi, make sure your computer and your phone are in the same local network, otherwise it would not work properly. Why does the app export a zip file instead of an excel file? 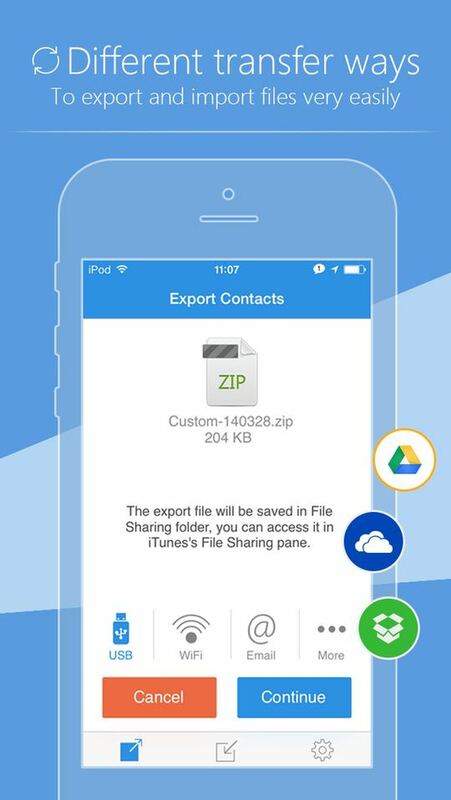 Because the app also exports photos of contacts, so it compresses the excel file and photos file into a zip file. You can turn off “Photos” or turn on “Photos in Excel” if you want to get an excel file instead of a zip file. Please note if you turn off “Photos”, the app would not export contact’s photos. I purchased this app with iTunes and i now am using an Android phone, can i use my purchased app through Android? Sorry there are independent app markets, and it’s impossible to purchase an app and use it across all app markets. But we can give you a promo code, the promo code can be used one time to download the app freely. 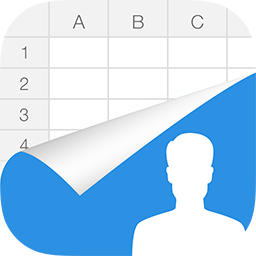 The best ever Contacts Manager for Android/iOS. Contacts are fully compatible between two OS's. Never ever had a problem to synchronize my Android and iPhone. Developer is very friendly and always answers to any questions. This brilliant App has worked perfectly on several iPods and iPads for many years. Regularly updated, it offers a variety of backup formats and destination options. One little hint - when you want to use the App with an iPad: Lock the iPad in portrait mode first. As iOS gadgets get cleverer, this app keeps up - well done! Finally Found the One! Stop looking and press the Install button now. You've found the right one. 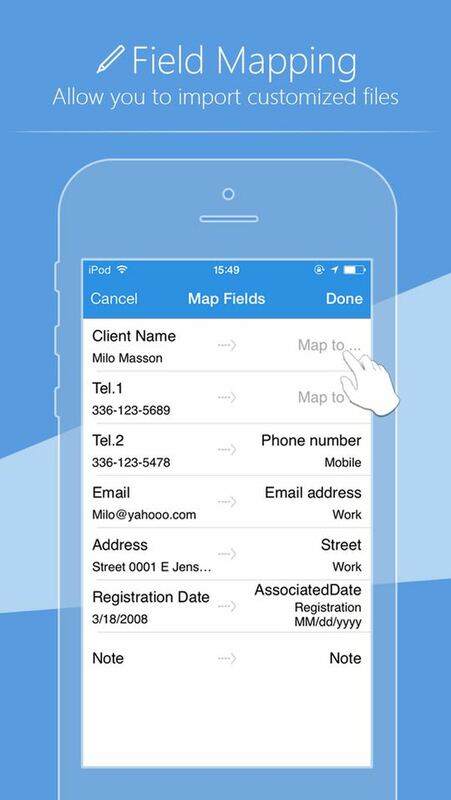 I downloaded almost a dozen Contacts to Excel apps before I found this one. 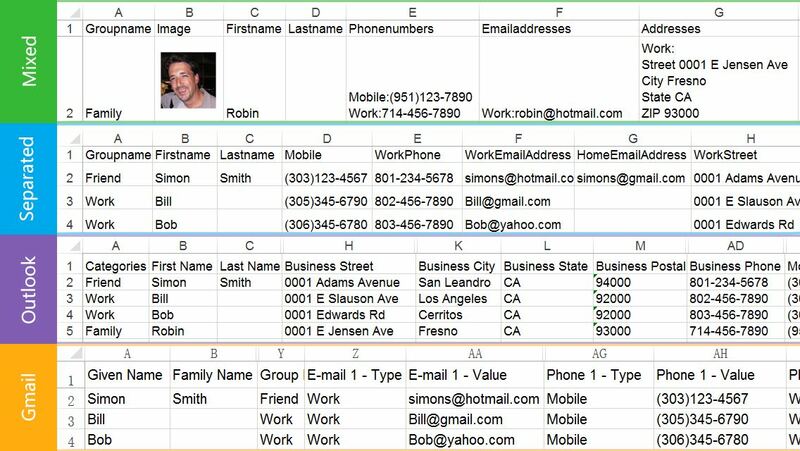 It does everything I wanted; putting every field in Contacts into an Excel spreadsheet. I use my Contacts to keep track of so much more information than just phone numbers, but the other developers didn't realize that. I can even sort on Groups, because the Groups field is a cell. "A must have" app It's work without issues on my i9300, 4.4.4 android custom rom. Simple and efficiently. I love the wifi upload options and the rest. Many thanks and please always improve and make conpatible with other windows excell versions. works like a charm just did a hard reset of my phone, and this app came in handy! cleaned up my bloated contact list and did an import successfully. oh btw, the admin is also quick to respond to bug fix. great job!